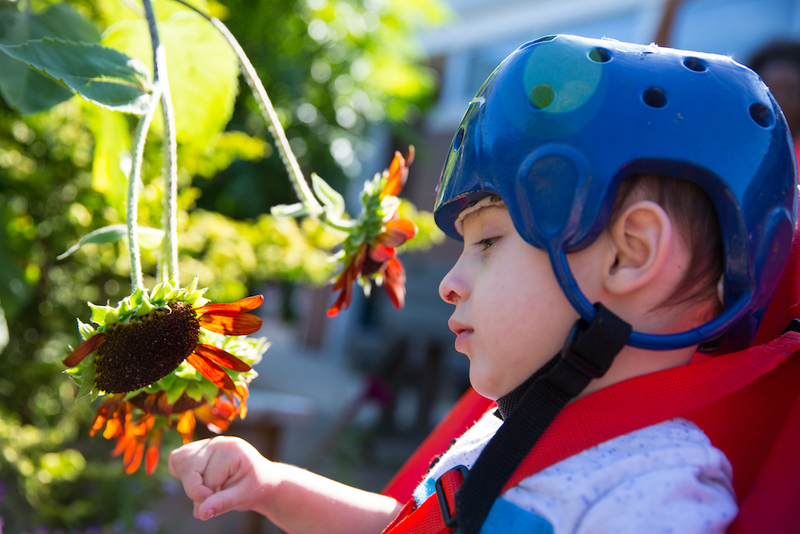 Horticultural Therapy (HT) is the process through which participants enhance their well-being through active involvement in plant and plant-related activities. At the CFEC, HT has become a significant component of our Enrichment Program for all of our students as nature provides so many enticing ways to encourage children to explore the world at their own pace. Our licensed therapists bring nature-based programs into our indoor and outdoor classrooms by incorporating hands-on activities that help students improve memory, cognitive abilities, task initiation, language skills, and socialization. We also use HT to teach our students how to work independently, problem solve and follow directions. HT can also help strengthen muscles and improve coordination, balance, and endurance. This program helps to foster growth, inspire confidence, encourage independence and give support to our students.